The Sorrows of Young Werther (German: Die Leiden des jungen Werthers) is an epistolary, loosely autobiographical novel by Johann Wolfgang von Goethe, first published in 1774. A revised edition appeared in 1787. It was an important novel of the Sturm und Drang period in German literature, and influenced the later Romantic movement in literature. Goethe, 24 years old at the time, finished Werther in six weeks of intensive writing in January–March 1774. It instantly put him among the first international literary celebrities, and remains the best known of his works to the general public. Towards the end of Goethe's life, a personal visit to Weimar became a crucial stage in any young man's Grand Tour of Europe. Most of The Sorrows of Young Werther is presented as a collection of letters written by Werther, a young artist of a sensitive and passionate temperament, to his friend Wilhelm. These give an intimate account of his stay in the fictional village of Wahlheim (based on Garbenheim, near Wetzlar), whose peasants have enchanted him with their simple ways. There he meets Charlotte, a beautiful young girl who takes care of her siblings after the death of their mother. Werther falls in love with Charlotte despite knowing beforehand that she is engaged to a man named Albert eleven years her senior. Despite the pain it causes him, Werther spends the next few months cultivating a close friendship with them both. His pain eventually becomes so great that he is forced to leave and for Weimar, where he makes the acquaintance of Fräulein von B. He suffers great embarrassment when he forgetfully visits a friend and has to face the normal weekly gathering there of the entire aristocratic set. He then returns to Wahlheim, where he suffers still more than before, partly because Charlotte and Albert are now married. Every day becomes a torturing reminder that Charlotte will never be able to requite his love. She, out of pity for her friend and respect for her husband, decides that Werther must not visit her so frequently. He visits her one final time, and they are both overcome with emotion after he recites to her a passage of Ossian. Even before that incident, Werther had realized that one member of the love triangle – Charlotte, Albert or Werther himself – had to die to resolve the situation. Unable to hurt anyone else or seriously consider murder, Werther sees no other choice but to take his own life. After composing a farewell letter to be found after his death, he writes to Albert asking for his two pistols, on the pretext that he is going "on a journey". Charlotte receives the request with great emotion and sends the pistols. Werther then shoots himself in the head, but does not die until twelve hours later. He is buried under a linden tree that he has mentioned frequently in his letters. The funeral is not attended by any clergy, or by Albert or Charlotte. The book ends with an intimation that Charlotte may die of a broken heart. "I shall say nothing of... Charlotte's grief.... Charlotte's life was despaired of," etc. Werther was one of Goethe's few works governed by the Sturm und Drang movement, before he and Friedrich von Schiller moved into Weimar Classicism. He initially published the novel anonymously and distanced himself from it in his later years, regretting the fame it had brought him and the consequent attention to his own youthful love of Charlotte Buff. He wrote Werther at the age of twenty-four, and yet this was what some of his visitors in his old age knew him for. He even denounced the Romantic movement as "everything that is sick." Goethe described the powerful impact the book had on him, writing that even if Werther had been a brother of his whom he had killed, he could not have been more haunted by his vengeful ghost. Yet Goethe substantially reworked the book for the 1787 edition and acknowledged the great personal and emotional impact that The Sorrows of Young Werther could exert on forlorn young lovers who discovered it. As he commented to his secretary in 1821, "It must be bad, if not everybody was to have a time in his life, when he felt as though Werther had been written exclusively for him." Even fifty years after the book's publication, Goethe wrote in a conversation with Eckermann about the emotional turmoil he had gone through while writing the book: "That was a creation which I, like the pelican, fed with the blood of my own heart." The Sorrows of Young Werther turned Goethe an unknown author into a celebrated one almost overnight. Napoleon Bonaparte considered it one of the great works of European literature. He thought so highly of it that he wrote a soliloquy in Goethe's style in his youth and carried Werther with him on his campaigning to Egypt. It also started the phenomenon known as the "Werther Fever", which caused young men throughout Europe to dress in the clothing style described for Werther in the novel. It reputedly also led to some of the first known examples of copycat suicide. This "Werther Fever" was watched with concern by the authorities and by fellow authors. One of the latter, Friedrich Nicolai, decided to create a satirical – and happier – ending called Die Freuden des jungen Werthers ("The Joys of Young Werther"), in which Albert, having realized what Werther is up to, loaded chicken's blood into the pistol, thereby foiling Werther's suicide, and happily concedes Lotte to him. After some initial difficulties, Werther sheds his passionate youthful side and reintegrates himself into society as a respectable citizen. 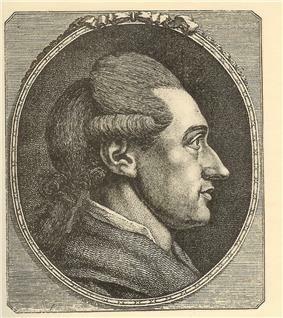 Goethe, however, was not pleased with the Freuden and started a literary war with Nicolai that lasted all his life, writing a poem titled "Nicolai auf Werthers Grabe" (Nicolai on Werther's grave), in which Nicolai (here a passing nameless pedestrian) defecates on Werther's grave, so desecrating the memory of a Werther from which Goethe had distanced himself in the meantime, as he had from the Sturm und Drang. This argument was continued in his collection of short and critical poems, the Xenien, and his play Faust. Mary Shelley's Frankenstein. Frankenstein's monster finds the book in a leather portmanteau, along with two others — Plutarch's Lives of the Noble Greeks and Romans, and Milton's Paradise Lost. He sees Werther's case as similar to his own, of one rejected by those he loved. The book influenced Unification. This is taken to be the first Italian epistolary novel. Thomas Carlyle, who incidentally translated Goethe's novel Wilhelm Meister into English, frequently refers to and parodies Werther's relationship in his 1836 novel Sartor Resartus. The statistician Karl Pearson's first book was The New Werther. Goethe's work was the basis for the 1892 opera Werther by Jules Massenet. William Makepeace Thackeray wrote a poem satirizing Goethe's story entitled Sorrows of Werther. Thomas Mann's 1939 novel Lotte in Weimar recounts a fictional reunion between Goethe and his youthful passion, Charlotte Buff. An episode in the TV series History Bites features the book, with Bob Bainborough as Goethe. Ulrich Plenzdorf, a GDR poet, wrote a satirical novel (and play) called Die neuen Leiden des jungen W. ("The New Sorrows of Young W."), transposing the events into an East German setting, with the protagonist as an ineffectual teenager rebelling against the system. In William Hill Brown's The Power of Sympathy, the novel appears next to Harrington's unsealed suicide note. The 2010 German film Goethe! is a fictional account of the relations between the young Goethe, Charlotte Buff and her fiancé Kestner, which at times draws on that of Werther, Charlotte and Albert. The 2014 novel The Sorrows of Young Mike by John Zelazny is a loosely autobiographical parody of Goethe's novel. The Sorrows of Young Werther, ; originally publ. by CT Brainard. The Sufferings of Young Werther, tr. Harry Steinhauer, . The Sorrows of Young Werther, . ^ Will Durant (1967). The Story of Civilization Volume 10: Rousseau and Revolution. Simon&Schuster. p. 563. ^ Stephen Payne, Carrying the Torch (Xlibris, 2010), p. 170. ^ A. Alvarez, The Savage God: A Story of Suicide (Norton, 1990), p. 228. ^ Ulrich Plensdorf, tr. Romy Fursland: The New Sorrows of Young W. (London: Pushkin Press, 2015). ^ Andrew Travers, "In Aspenite's debut novel, a Goethe hero lost at sea," The Aspen Times, October 3, 2014.